Antonia Barber has written many books for children. Her second book The Ghosts was shortlisted for the Carnegie Medal and was later made into the popular film The Amazing Mr Blunden. 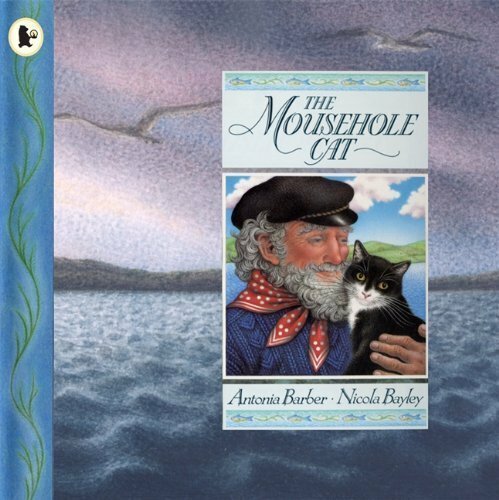 The Ring in the Rough Stuff also reached the Carnegie medal shortlist and The Mousehole Cat, a picture book illustrated by Nicola Bayley, was another bestseller that was the Nestle Smarties Book Prize children’s choice. In addition, it was commended for the Kate Greenaway Medal and won the British Book Award as Illustrated Children’s Book of the Year. It has also been made into an animated film and adapted as a stage musical. A gifted reteller, Antonia has retold seven little-known folk-tales from Eastern Europe in Hidden Tales From Eastern Europe amongst numerous other collections. Antonia lives in Kent and Mousehole, Cornwall.